BIGNONIACEAE. Peruvian and Chilean tendril climbers valued for their showy bloom, and odd seed pods. Best on a warm, south-facing wall. Sow early indoors, germinates in about 2 weeks. May be sown in fall and held over in the greenhouse till spring. Perennial in warm climates, grown as an annual in the North. 'CHILEAN GLORY'. 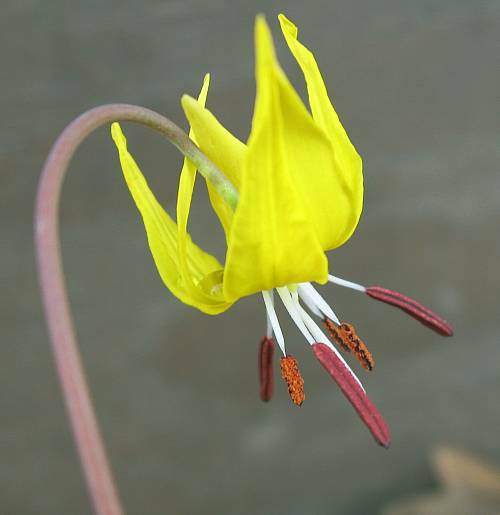 Clustered inch-long tubular flowers in shades ranging from yellow to rose and orange-scarlet. Free-blooming climber to 10 feet. Chile. Zone 9. Needs light to germinate in 2 - 8 weeks. COMPOSITAE. 'CONE FLOWER'. Bold herbaceous North American perennials with large, showy, daisy-like flowers and thick, medicinal roots. They are some of our finest natives, giving 2 months or more of late summer bloom, good for cutting. Easy in the border or wild garden, doing well in rich, sandy loam in warm sunny spots. Likes lime. 'BLACK SAMPSON CONEFLOWER'. Orchid or violet 2" wide flowers. Hardy perennial to 2 feet, with 8" leaves. Plains states. Zone 3. The root is a valuable medicine, and was used by the Sioux against septicemia, rabies, snakebites, etc., and widely in modern times against infection. It is said to stimulate the immune response, production of white blood cells, increase lymphatic filtration, etc. Germinates in 1 - 2 weeks, some lots need 6 - 8 weeks cold. 'PALE PURPLE CONEFLOWER'. Striking wildflower. Showy large flowers with narrow drooping 1 1/2 - 3 1/2" long petals flushed rosy purple, and large dark purple-brown centers. Hardy perennial to 3 - 5 feet tall. Illinois to Texas. Zone 3. A long-lived plant, it will make a great display year after year. Highly valued by the Indians as a medicinal plant, its roots are prized by herbalists. Like E. purpurea and angustifolia, it was used as a universal panacea. It stimulates the immune system and production of white blood cells (T-cells), increases lymphatic filtration, possesses tumor-inhibiting properties, is effective against bacterial and viral infections, helps wound healing, is anti-allergy, etc. Germinates in 2 - 3 weeks, some lots need 6 - 8 weeks cold. 'PURPLE CONEFLOWER'. Large, handsome, reddish purple 4" wide flowers with darker centers, on a hardy perennial to 2 - 5 feet. E. U.S. Zone 3. An excellent long-lived perennial. Valued as a universal panacea by the Plains and Eastern Indians, the root was used for a wide variety of ailments. They are still quite popular, being especially valued in Europe, where they are frequently employed as a non-specific immune system stimulant effective against bacterial and viral infections. Germinates in 2 - 3 weeks. 'TENNESSEE CONEFLOWER'. Rosy purple 3" flowers with upturned petals, in summer. Rare hardy perennial to 2 - 3 feet, with narrow, dark green foliage. Only a few wild stands in Tennessee, it was listed as endangered until 2011. Zone 5. A fine example of preservation through dissemination. Germinates in a few weeks, prechill helps. 'MOCK CUCUMBER'. Attractive fast growing annual to 15 - 20 feet, with smooth, lobed leaves, and large clusters of white flowers. Egg shaped 2" papery fruits. E. N. America. Fresh seed dormant, sow outdoors early for best germination, and hold pots two years for stragglers. COMPOSITAE. 'GLOBE THISTLE'. Handsome hardy Old World biennials and perennials grown for their large showy globular blue, violet or white heads, which are valued florist material, and also make good dried flowers. Striking plants, best in colonized clumps, their metallic heads making a bold effect. Attractive to bees. Good in dry, light, well-drained soil. Easy from seed sown January on, up to 2 months before fall frosts. Germinates in 2 - 3 weeks, or up to 2 months. Seed viable 2 years or more. Round dark blue 1 - 2" flowerheads in mid- to late summer. 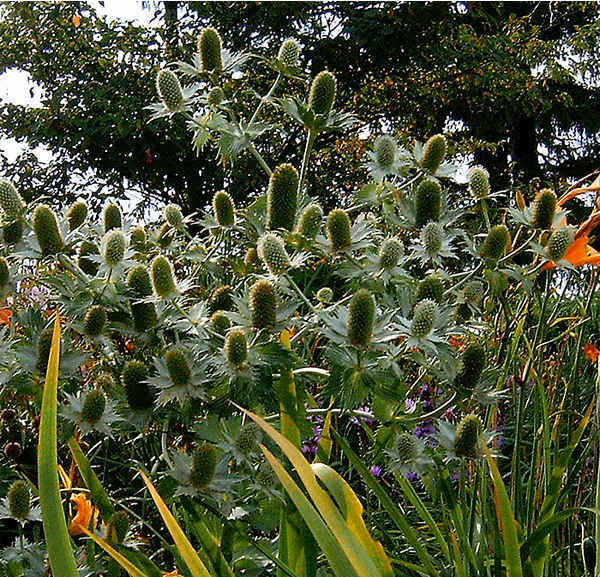 Hardy perennial to 3 - 4 feet, with grey woolly stems and thistle-bike leaves. SE Europe. Zone 5. Will rebloom dead-headed. 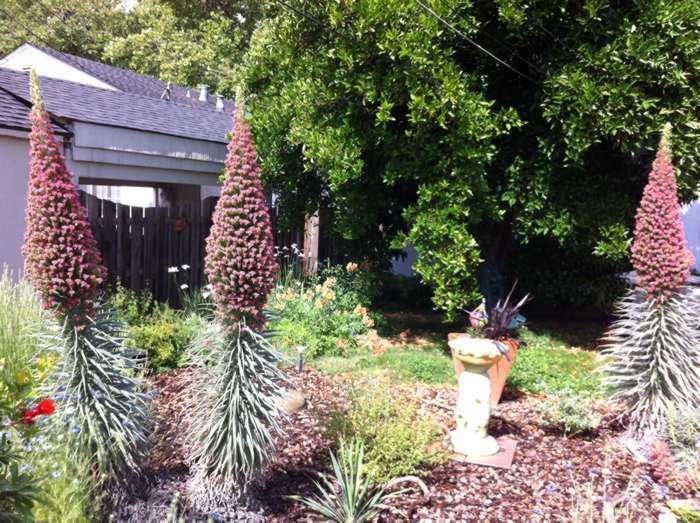 "Undemanding plant good for hot dry areas and poor soil."—N. Aiello, Wisconsin. Germinates in 1 - 2 weeks. Large, globular violet 2 - 3" heads. 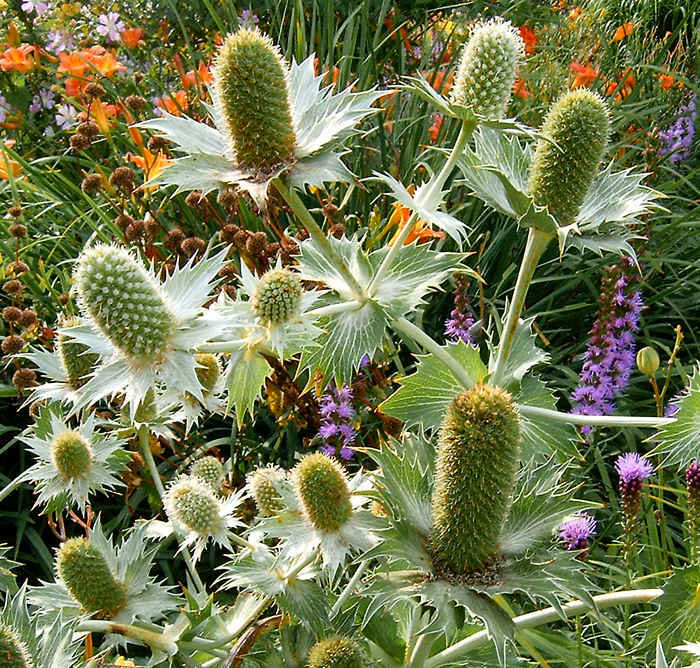 Vigorous thistle-like hardy perennial to 5 feet. South Europe. Zone 3. Valued for cut-flower and dried flower production. Blooms all summer, producing a wealth of material. Germinates in 1 - 3 weeks warm. 'GREAT GLOBE THISTLE'. Large blue 2" globular flower-heads. Tall hardy perennial to 5 - 8 feet, with pinnately divided leaves and cobwebby stems. Europe to Siberia. Zone 3. A bold, striking perennial. Germinates in 1 - 2 weeks or so. Large white balls of flowers on red stems, from June to August. Thistle-like hardy perennial to 32". The red stems are a striking contrast to the white flowers and green leaves, making an excellent cut flower. Choice! Germinates in 1 - 2 weeks warm. BORAGINACEAE. Showy Mediterranean annuals and perennials, some spectacular giants. Easily grown in sunny, dry, poor, well-drained soil in warm areas and near the seacoast. They all attract bees, and one is lizard pollinated! Most germinate in 3 - 4 weeks. 'PRIDE OF MADIERA'. 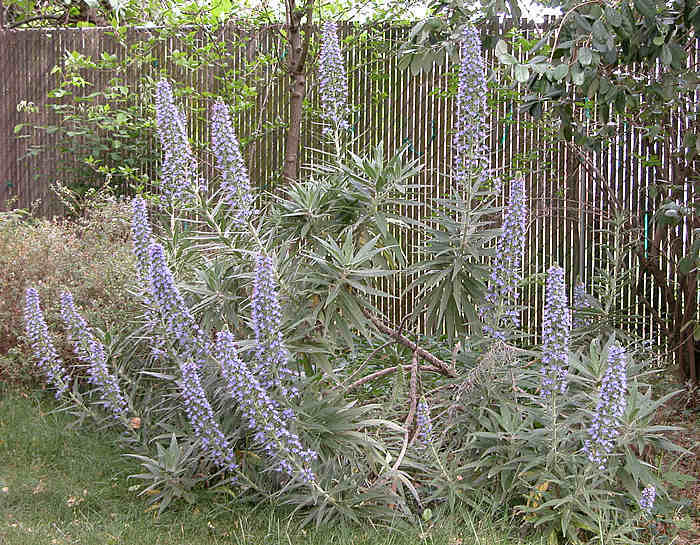 Dramatic spikes of dark blue-purple 1/2" flowers with red stamens, in May and June. Shrub to 6 feet, with grey-green narrow leaves. Canary Islands. Hardy to about 5 - 10°F. Good in coastal California or the cool greenhouse. Germinates in 1 - 3 weeks warm. Deep red 1/2" flowers with long-exserted stamens, in dense foot-long racemes. Bushy hardy biennial or short-lived perennial to 2 - 3 feet, with narrow, pointed, 4" silvery-fuzzy leaves. Europe and W. Asia. Zone 3. Germinates in 1 - 3 weeks or so. 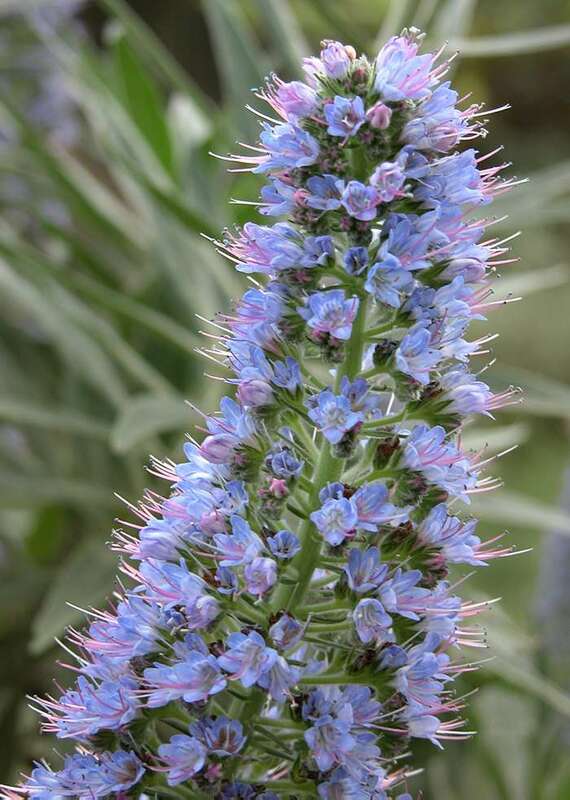 'VIPER'S BUGLOSS', 'BLUE-WEED'. 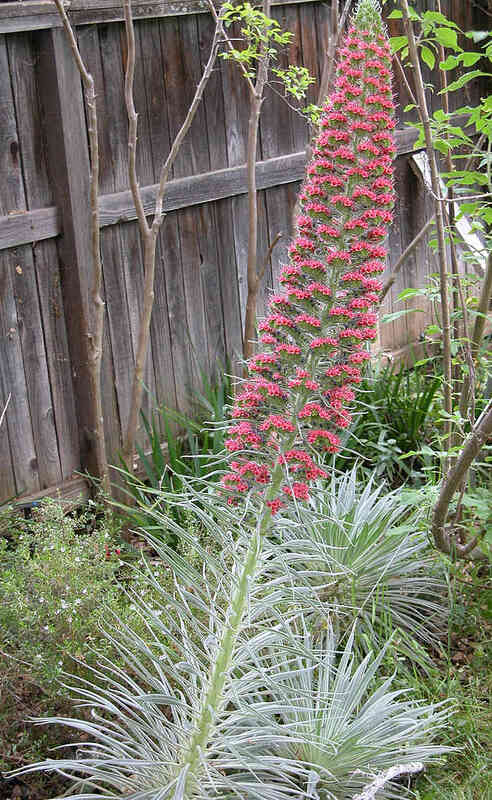 Showy biennial with numerous flowers in curved spikes. The flowers open bright rose, then turn brilliant blue. June and July. Hardy biennial to 2 - 3 feet. Eurasia. Zone 3. An excellent bee-plant. Was used medicinally against poisons and venom, hence the name. "...really brings butterflies and bees to my garden."—T. Vogelsang. Germinates in 1 - 4 weeks. 'TOWER OF JEWELS'. Rosy red flowers with long-exserted stamens, in huge tapered conical clusters up to a foot thick and 10 feet tall, creating a striking effect. Biennial with narrow downy leaves. Canary Islands. Zone 9. In cold climates hold over winter in a tub in the greenhouse, and plant out the second spring. A real traffic-stopper here in California. Germinates in 1 - 6 weeks warm. This is the true species and comes true from seed, no hybrids. 'BRINGRAJ', 'MO-HAN-LIAN'. Small white daisies on an annual to 1 foot, with narrow leaves. Tropics. An Ayurvedic liver tonic, the juice used to help hair grow and stay dark, to lower blood pressure, and promote longevity and memory. Immune system stimulant, anti-inflammatory, anti-diabetic, and has activity against AIDS. Controls soil nematodes and is antifungal. African sorghum and millet seeds treated with Eclipta extract had almost double the vigor and yield. Needs light and heat to germinate in 1 - 8 weeks, likes moisture. GRAMINEAE. Tufted annual grasses grown for ornament and as a grain in Africa and India. Easy. An improved variety with large heads, good for grain or as an unusual cutflower material. Germinates in 1 - 3 weeks. 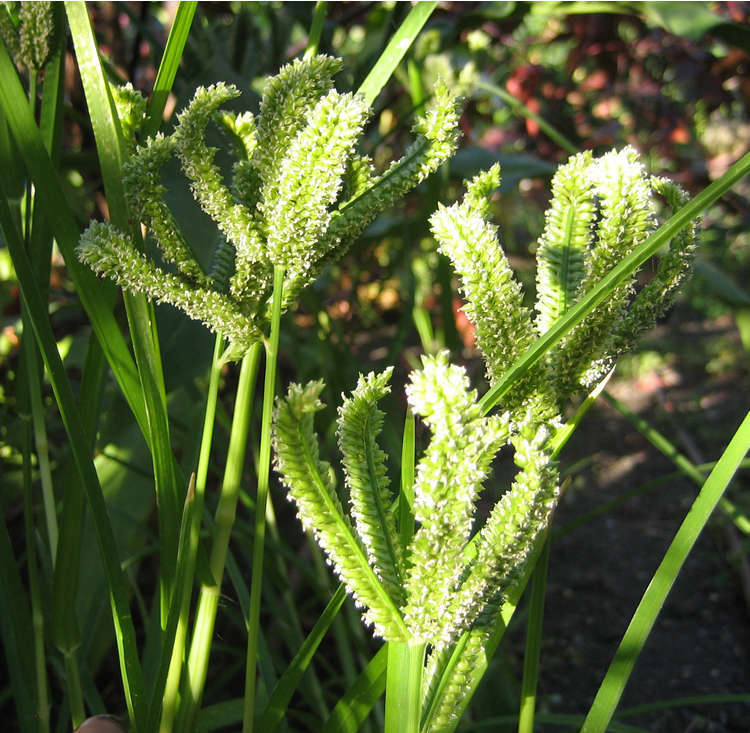 'DRAGON'S CLAW MILLET', 'RAGI'. 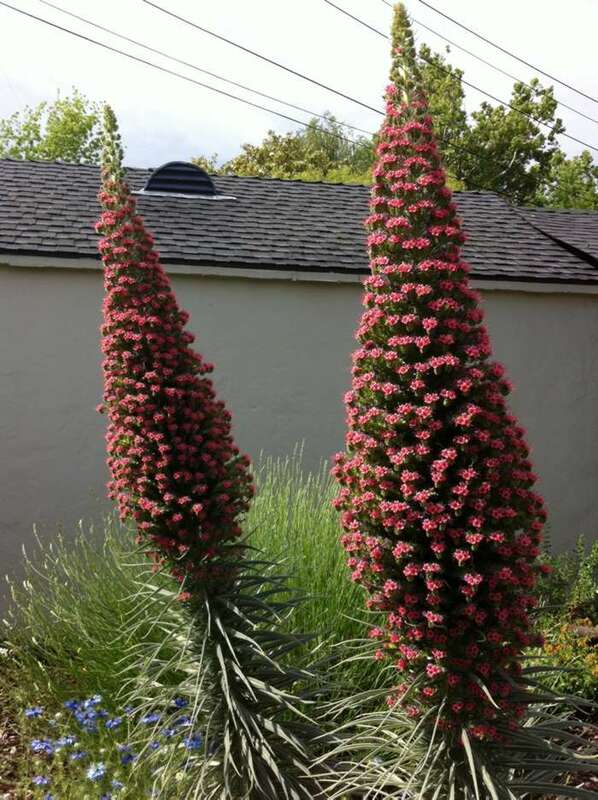 Annual to 2 - 3 feet, with heads resembling a dragon's foot. Africa and Asia. Gives a good yield of grain and is grown for this purpose in Africa, Asia and the U.S. It is a fine cereal, and is made into flour. Made into a beer called M'Poko in Africa. Eaten as a vegetable in Indonesia. The most productive cereal in India. Yields up to 2000 pounds per acre. The earliest African agriculture, since 5000 B.P. Germinates in 1 - 3 weeks. LABIATAE. Eurasian and African plants, often aromatic. Easily grown late-blooming plants, valued for their dense spikes of flowers. Full sun. 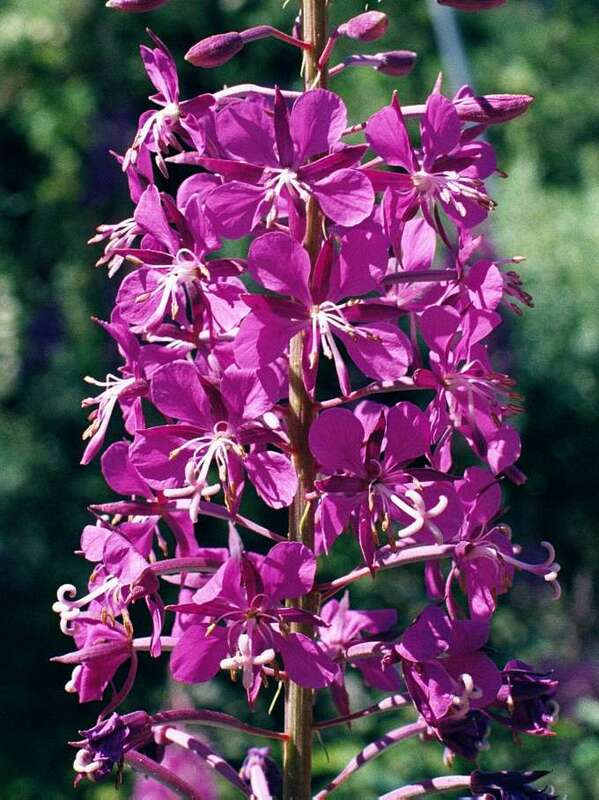 Rosy purple flowers in dense 4 - 8" spikes in September and October. Aromatic shrubby perennial to 5 feet, with 5" leaves. N. China. Zone 4. Germinates in 1 - 2 weeks warm. EMPETRACEAE. Several species of low evergreen shrubs from cold regions. Good in the rock garden. 'MOSSBERRY', 'CROWBERRY'. Tiny pink to purplish 1/4" flowers, abundant in April to June, followed by glossy black-purple 1/4" edible berries. Low spreading heath-like shrub to 8 - 12", with tiny, needle-like 1/4" leaves, giving it a mossy look. N. America to Eurasia. Very hardy, Zone 3, often growing among rocks. Berries a favorite food, eaten in a variety of ways by northern peoples, from Eskimo to Icelander. Twigs brewed as tea. Germinates in 4 - 6 weeks warm with GA-3. ONAGRACEAE. 'WILLOW HERB'. Showy hardy perennials with willow-like leaves and large spikes of deep pink, crimson, white or yellow flowers of striking beauty. At their best in moist places or at the waters edge, but are well adapted to the border, meadow and wild-garden. Easy from seed. Sow on the surface to germinate in 1 - 2 weeks. 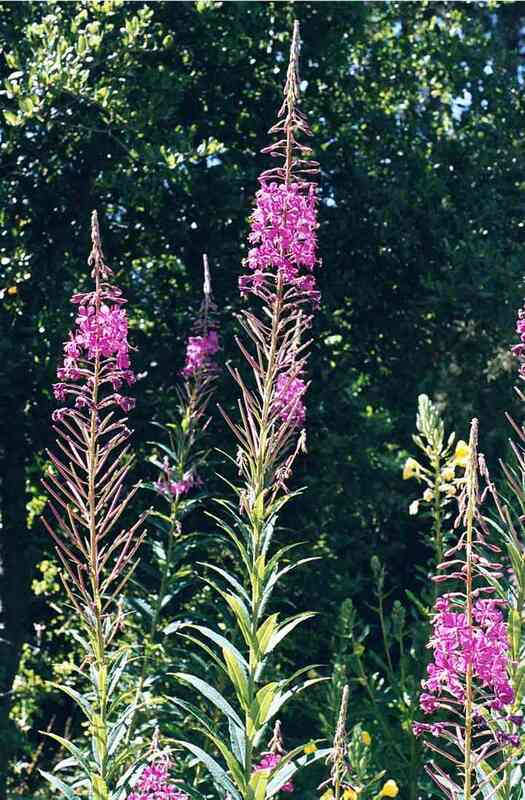 'GIANT WILLOWHERB', 'FIREWEED', 'ROSEBAY'. Large purple to rose 1 1/4" wide flowers in long showy spikes in July and August. Hardy perennial to 3 - 8 feet, with 6" willow-like leaves. N. Hemisphere. Zone 2. Good cut flower. The young shoots have been used as an asparagus. The leaves were formerly used as a tea substitute, but were said to be stupefying in excess. An ale was brewed from them in Kamchatka, with the addition of Fly Agarics. The pith of the stems was eaten by N. American Indians. The plant has many medicinal uses. "Our finest and most showy species."—Parsons. UMBELLIFERAE. Attractive border and rock garden plants. Some 230 species, nearly worldwide. Somewhat thistle-like perennials valued for cut flowers and for drying. Best in full sun and light rich soil. Most germinate readily at cool temperatures, and some need cold. 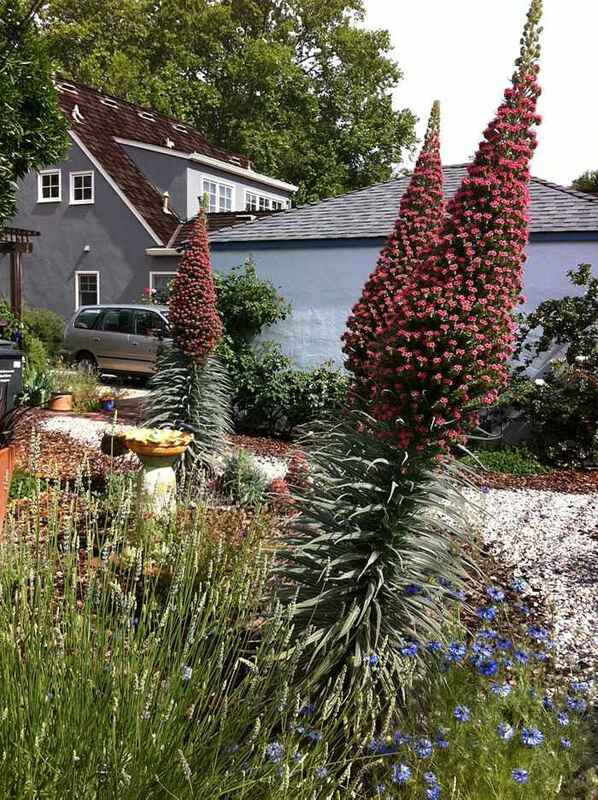 Large dark blue thistle-like flowers in clusters in July and August, on a hardy perennial to 1 1/2 - 2 1/2 feet, with large, heart-shaped basal leaves. Mountains of Europe. Not prickly. Zone 5. Prechill seed 6 - 8 weeks. 'GIANT SEA-HOLLY'. 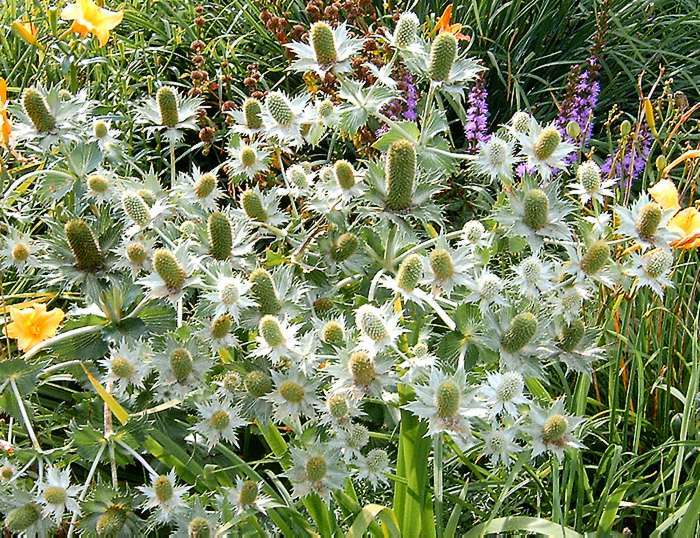 Silvery green to pale blue 4" long flower-heads with striking ivory white boldly toothed bracts. July to August. Hardy perennial to 6 feet, with triangular to heart-shaped leaves. Caucasus. Zone 4. Good, stunning, long-lasting cut flowers, which also dry well. Monocarpic; cut flowers to extend bloom. Sow in late fall, space 2 feet apart. Prechill 6 - 8 weeks to germinate in 3 - 7 months. 'SEA HOLLY'. Silvery-grey 4" holly-like foliage and blue-green thistle-like 1" flower-heads from June to October. Hardy perennial to 16". Seacoasts of Europe. Zone 4. Good by the sea and in deep well-drained rocky or sandy soil. The young shoots have been eaten like asparagus, and the roots were candied and eaten as an aphrodisiac. Boiled they are said to taste like chestnuts, and be very restorative and nourishing for elderly people. Medicinal. Give 8 weeks cold to germinate in 3 - 4 weeks. 'BLUE CAP'. 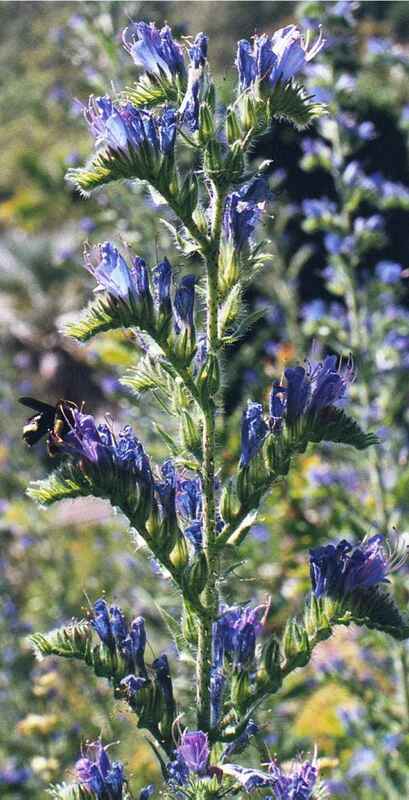 Intense blue flowers in 1/2" heads with star-like bracts, borne profusely on a hardy perennial to 28". Eurasia. Zone 4. Germinates in 1 - 4 weeks. 'RATTLESNAKE MASTER' Globular heads of white flowers in July and August. 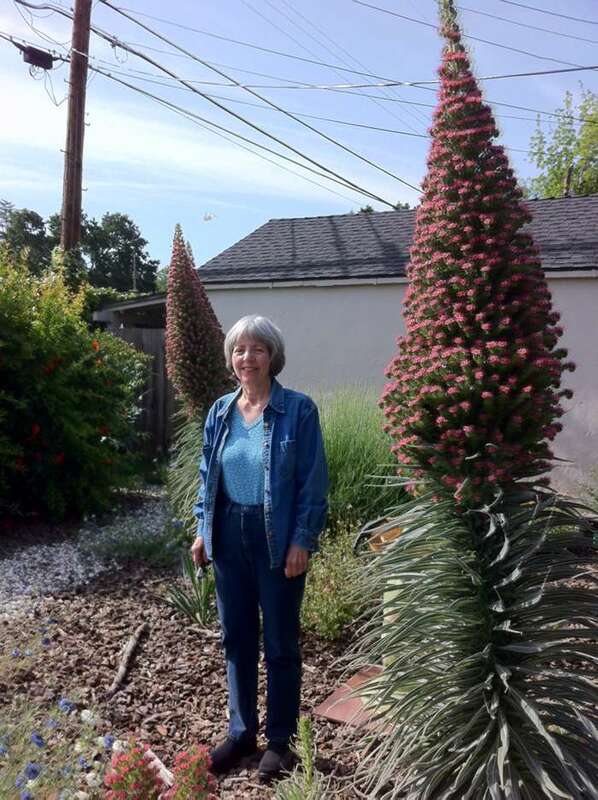 Hardy perennial to 2 - 6 feet, with Yucca-like, sword-shaped leaves to 3 feet long. E. U.S. Likes moist soils and full sun, blooms the second year from seed. Zone 4. The roots were a highly valued medicine among various Indian peoples throughout its range. Germinates in 8 - 12 weeks at cold (40° F) temperatures. "The two most common things in the universe are hydrogen and stupidity."—H. Ellison. LEGUMINOSAE. Over 100 species of tropical trees and a few herbs. A complex group, displaying reticulate evolution. Most bird-pollinated, with interesting adaptations of the nectar nutrients to the needs of the bird species, and dry-season flowering providing a water source for birds and squirrels. Extrafloral nectaries may attract guard-ant species. Cultivated for ornament and many uses. Shiny red or orange flowers and many have bright seeds used as beads and in games, mostly toxic, but some eaten. Easily grown in warm climates or in the greenhouse. Nick and soak seed, to germinate in 10 - 20 days or so at warm temperatures. The seeds may float long distances in the sea. Many contain poisonous curare-like alkaloids used in medicine. 'CORAL TREE', 'IMMORTEL'. Deep red 2" long flowers in 4 - 12" racemes, followed by 4" pods filled with bright scarlet seeds. Tree to 25 feet with trifoliate leaves, sometimes spiny. West Indies. Zone 10. Bark and seeds medicinal and poisonous. Nick and soak to germinate in 1 - 3 weeks or so. LILIACEAE. Attractive N. Hemisphere cormous perennials, good in shade or the wild garden. Multi-cycle germinators. 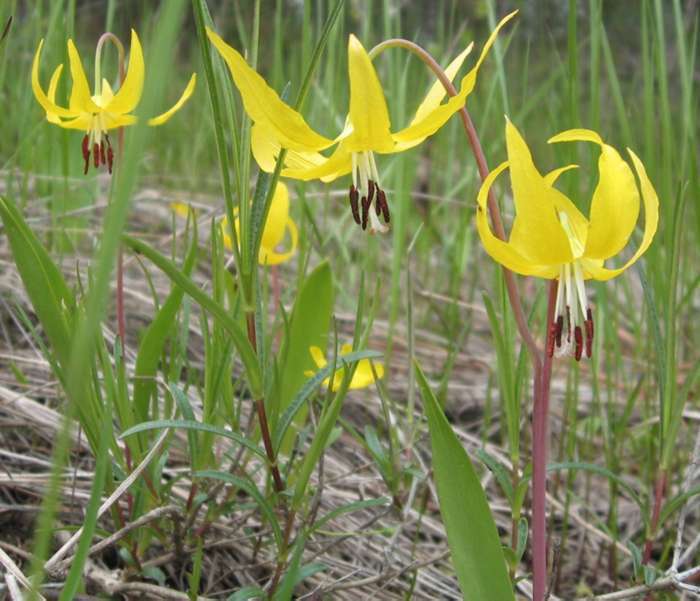 'AVALANCHE LILY', 'YELLOW FAWN LILY'. Bright golden yellow 2" flowers with recurved petals and reddish purple anthers, solitary or in clusters of up to 6, held above the oblong 6" leaves. Open forests, B.0 to Utah & California. The corms were eaten by the Indians, and the Wailakis believed that if they bathed in a decoction of it "...they can stop a rattlesnake from having dreams..."—Chesnut. Sow in early fall or give 4 weeks warm, then cold. Root germinates in 2 - 4 months cold. High germination.